Yesterday was the anniversary of John Spence’s tragic passing. 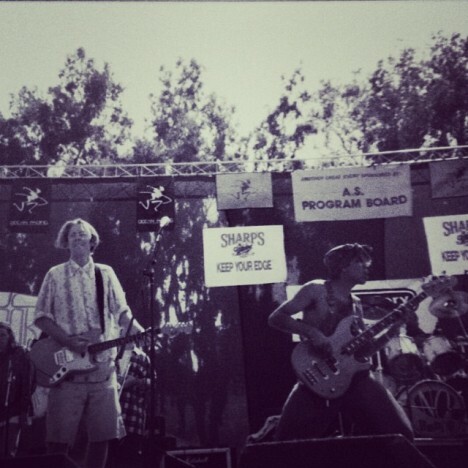 The band posted tributes to him on their Facebook and twitter accounts. Eric Keyes posted a video in remembrance of him in the Facebook group Tribute to John Spence. You can watch it here. Tony tweeted that he now has an Instagram account. It is http://instagram.com/tonykanal. He posted a really cute photo of himself and his daughter! Hello! 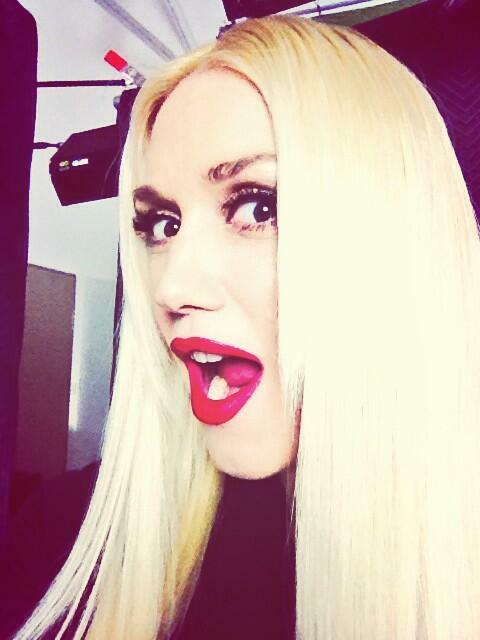 Gwen and her family attended the third annual Baby2Baby Holiday Party in Los Angeles yesterday. I’ve added some photos to the gallery. 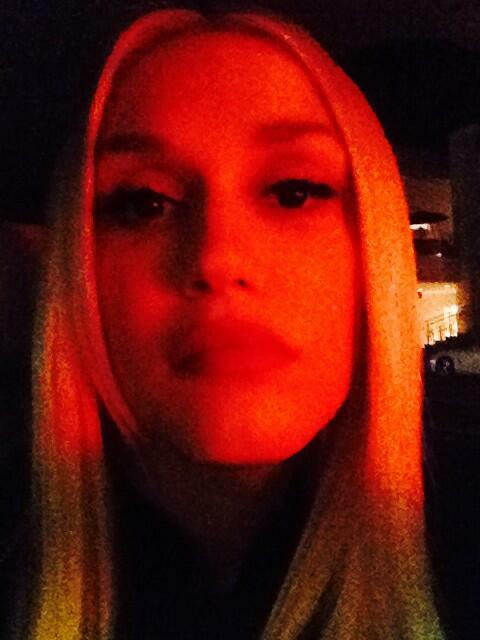 Gwen looked so beautiful, and glowing! You can view some high quality photos on the Just Jared web site. Hautelook is having a sale on L.A.M.B. bags right now, until Tuesday. Harajuku Lovers has just released five limited-edition t-shirts for the holidays! The web site features Gwen’s niece Madeline as the model. They’ve posted holiday shipping deadlines here. Tom has donated a guitar he signed at the NAAM show to the non-profit Guitars Not Guns, which is a great children’s music program! 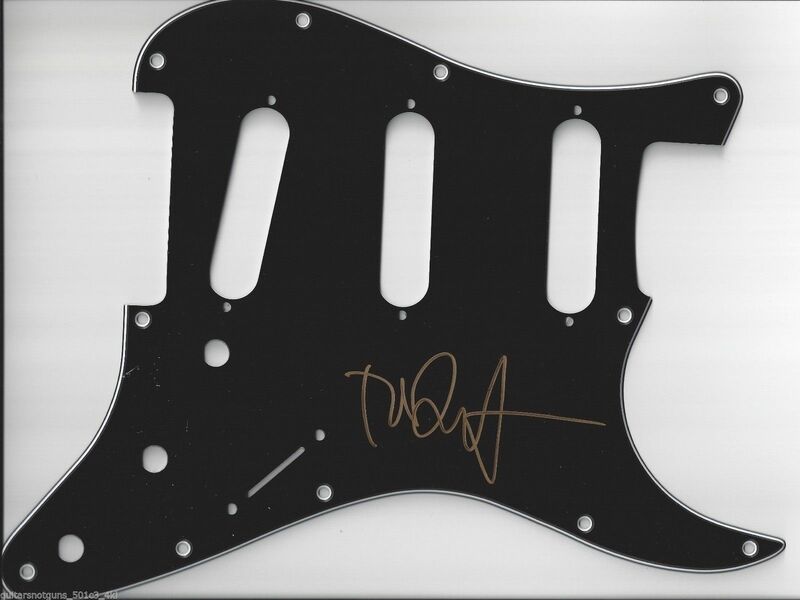 There’s an eBay auction here to benefit them! 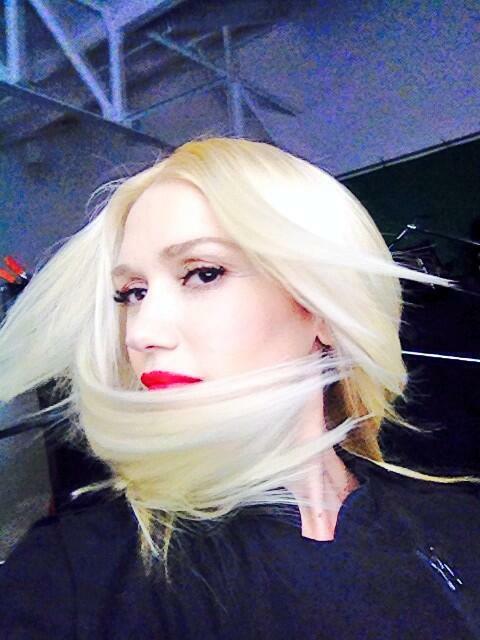 Gwen was tweeting photos of herself at a mystery photo shoot yesterday! 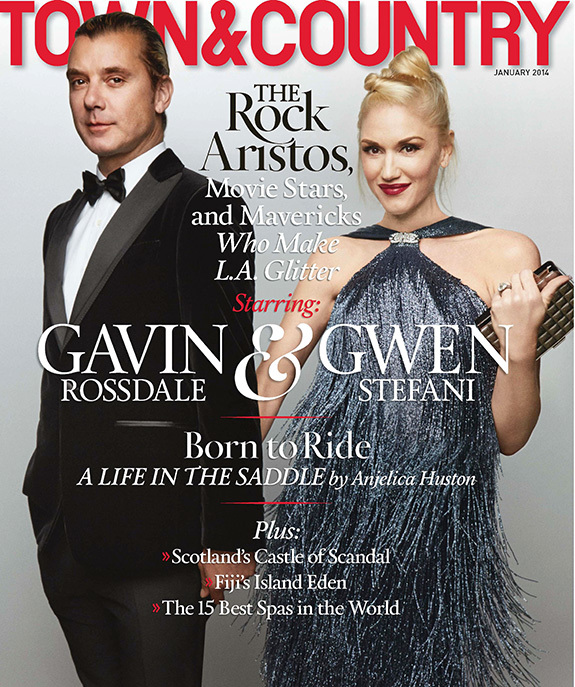 Gwen and Gavin are on the cover of the January 2014 issue of Town & County Magazine! The article may be viewed on the magazine’s web site. I’ve also copied it below. Enter Wallis Annenberg, the philanthropic powerhouse and chairwoman of the Annenberg Foundation, which gives millions annually to support everything from hospitals to schools to, of course, the arts. The “Wallis,” as the Wallis Annenberg Center for the Performing Arts has already come to be known, is a full-scale performing arts and culture center that will feature productions running the gamut from music to dance to film to theater. The complex, formerly the Beverly Hills post office, has been reimagined to include the 150-seat Lovelace Studio Theater, a café, a gift shop, and the Postmaster’s Office, a preserved, walnut-paneled space that can be rented out for private events. A new adjacent building houses the 500-seat Bram Goldsmith Theater, a wardrobe shop, a prop room, and the Founders Room, for VIPs. A school offering classes in the performing arts is set to open later this year for students under 18. The center’s first public performance, in November, featured the Martha Graham Dance Company. “For many years L.A. had been seen as a second-class citizen in the fine art world. There’s a huge commercial entertainment industry here, and it tends to overshadow everything else,” Annenberg said. “Some people have a hard time believing you can find a Lichtenstein or a Frank Stella in the same zip code that produced 90210.” In the City of Angels, Annenberg is a cultural guardian of sorts. The daughter of billionaire media mogul and philanthropist Walter Annenberg, she became chairwoman and president of the family’s namesake foundation in 2009. The foundation, which funds the Annenberg School for Communication at the University of Pennsylvania, the Wallis Annenberg Department of Photography at LACMA (of which she is a trustee), the Annenberg Community Beach House in Santa Monica, and the Annenberg School for Communication and Journalism at the University of Southern California, among many others, has a distinguished presence all over the country but especially in Philadelphia, where Wallis was raised, and in California, where she now resides. It’s de rigueur to fill an inaugural gala with celebrities, and some of the dinner guests—Rachel Zoe, Nicole Richie, Courteney Cox, Joe Jonas, Camilla Belle—were those you’d expect. But not since the opening of the Disney Concert Hall, almost exactly 10 years ago, has L.A. brought together such a diverse guest list to celebrate something distinctly cultural. And while the event marked something of a milestone for the city, it also underlined the existence of society players who don’t frequently appear on E! Entertainment Television or in the pages of Us Weekly. Power patrons and philanthropists such as Edythe and Eli Broad, Eva and Michael Chow, Michael Milken, and Sherry Lansing were there, along with European imports Caroline Sieber, Olympia Scarry, and Miroslava Duma. The president also attended. Except this is L.A., so that meant actor Tony Goldwyn, who plays the president on TV. He was accompanied by his sister, documentary filmmaker and artist Liz Goldwyn. And, of course, there were Jodie Foster, Sidney Poitier, Kevin Spacey, and Tim Robbins. SALVATORE FERRAGAMO FIRST came to Hollywood in the 1920s, and he later made custom shoes for Marilyn Monroe. So when Gwen Stefani, the peroxide-blonde rock star who can channel a latter-day Norma Jean, shook the fringe of her floor-length Ferragamo flapper dress—the brand sponsored the opening—it was a camera-ready full-circle moment. “It’s one of my favorite looks, and she wore it perfectly,” Ferragamo designer Massimiliano Giornetti said. “She owned the night.” But Stefani attended less as a pop culture goddess than as an L.A. lady—the guest of popular florist Eric Buterbaugh. And on this red carpet, in light of the recent behavior of her female comrades in music, Stefani—gracious and gleefully pregnant, husband Gavin Rossdale standing respectfully beside her—more strongly recalled another Ferragamo client: Grace Kelly. Or maybe Daisy Buchanan. It was that kind of night: full of surprises. You are currently browsing the Greener Pastures – a No Doubt fan site archives for December, 2013.